The Global Alternative Tourism Network, ‘GATN’ in short is an initiative of the Asia and Pacific Alliance of YMCAs (APAY). The Young Men’s Christian Association of Penang, Malaysia is part of the hosting country to provide an opportunity for ‘traveller / participant” to experience an alternative means in understanding the living lifestyle of the local community in the aspects of culture, heritage, environment as well as engaging in various social and communal activities with them. The YMCAs of Asia and Pacific are committed to a sustainable alternative tourism that empowers youth to help restore the environment and ecology, uphold the local culture and heritage, and promote a better quality of life for the local community. Penang is often known as “The Pearl of the Orient” and especially the best place to indulge in our local delights; it is seen as the food capital of Malaysia. The Island is thriving modern city that still retains its tradition and customs with art and cultural activities. On July 2008, George Town was awarded the coveted title under the UNESCO World Heritage List. The achievement of Penang was based on the pre-war buildings in the allocated heritage zones in all South East Asia which are still intact and preserved until today. 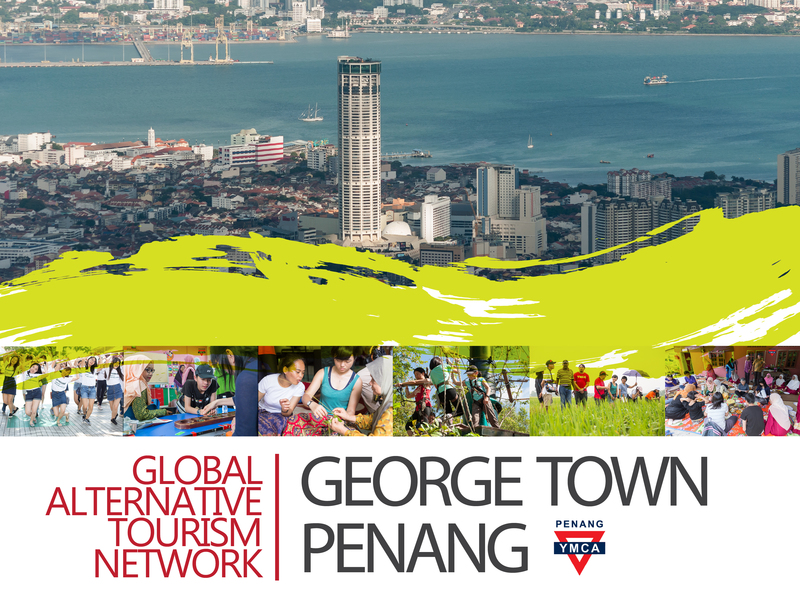 The true value of George Town’s historic aura is simply too unique to define which reflect both tangible and intangible heritage in Penang. Interaction with local volunteers and make new friends. Learn and re-learn cultures, beliefs and traditions. Explore Penang’s unique street art, filled richly with pre-war architecture and local lifestyle. Sample Penang delicious platter of food that never seems to surprise or even end! There are both indoor programs and outdoor activities for land, sea and hills.